Detective Lindsay Boxer and Assistant District Attorney Jill Bernhardt are enjoying a quiet afternoon in San Francisco when a townhouse across the street explodes in flames. A sinister note signed 'August Spies' is found at the scene of the disaster, and the body of an infant who was asleep in the house at the time of the explosion cannot be found. Soon a wave of violent incidents, all with links to political terrorism and involving 'August Spies,' sweeps through the city.An upcoming economic summit of the world's most powerful nations will surely be a target. And it's up to the Women's Murder Club to get to the bottom of the violence before it's too late. 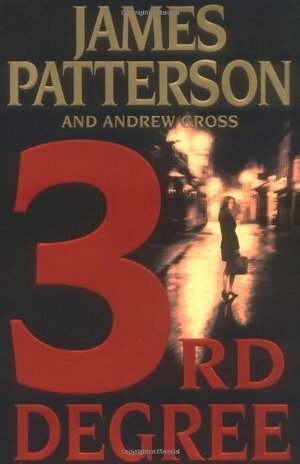 Delivering the breakneck pace and never-saw-it-coming plot twists that have made James Patterson the most addictive writer at work today, 3rd DEGREE is another searing and unforgettable thriller from the nation's #1 bestselling suspense writer. I just finished the third book in James Patterson's Women's Murder Club series, about killings by political terrorists, and I am really enjoying this series! Just as fast moving and interesting as the first two, and I like the characters that make up the Women's Murder Club. A bit of a shock in this one! Getting ready to start Book Four!